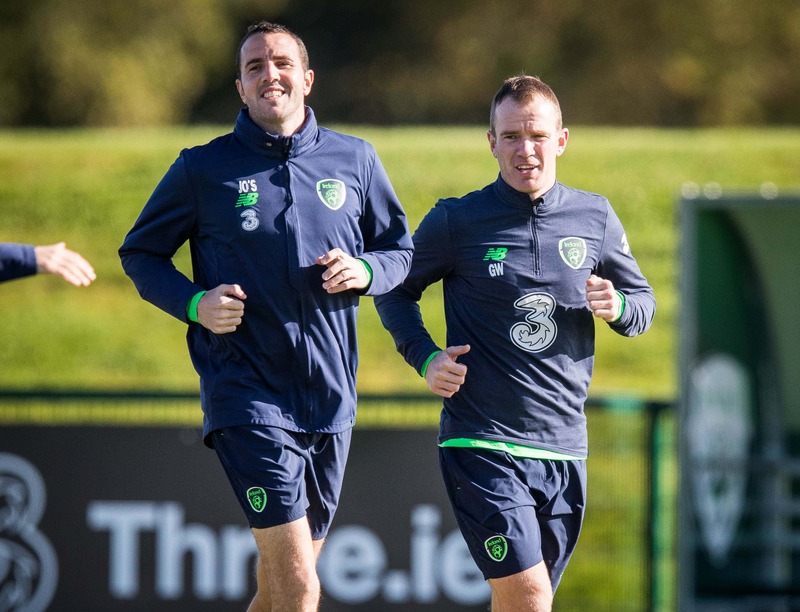 Glenn Whelan: "85 Caps, I'd Have Taken Your Hand Off Just For One"
Republic of Ireland stalwart, Glenn Whelan, will bring the curtain down on a decade of senior international football when he captains the Republic of Ireland in the Irish derby on Thursday. 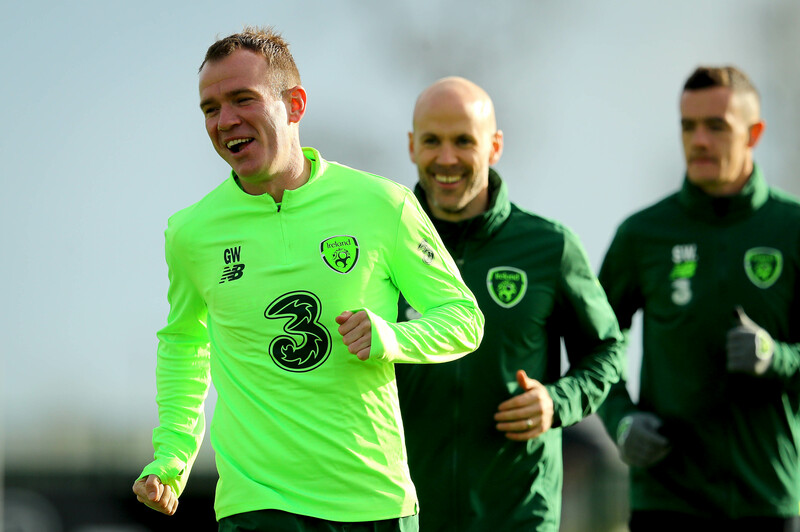 Glenn Whelan’s international career has seen him don the green jersey 84 times, putting him amongst the top ten most-capped Irish players of all time, ahead of the likes of Paul McGrath, Roy Keane, and Liam Brady. While he may not have received the same appreciation from Irish fans as the aforementioned trio, Whelan was at the fulcrum of the Irish midfield for the best part of a decade, one that would see us qualify for the European Championships in 2012, as well as narrowly missing out on World Cup qualification due to that infamous Thierry Henry handball. Robbie Brady spoke highly of his Irish teammate on Tuesday, stating “no one gets that many caps for their country without being a very good player”. 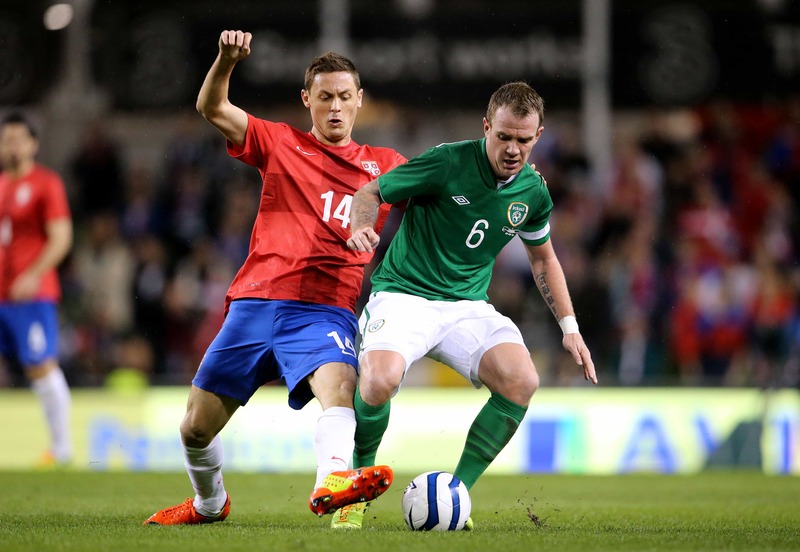 Whelan will lead Ireland out on Thursday, captain’s armband in tow, to rapturous applause. One to often shy away from the limelight, Whelan, presumably reluctantly, sat down with media at Ireland training on Wednesday. Martin O’Neill spoke about the influence Whelan has had for Ireland. “Glenn will lead the side out and captain the team. He’s deserved that. 85th cap, which is no mean feat. “Honestly, he’s really been excellent. 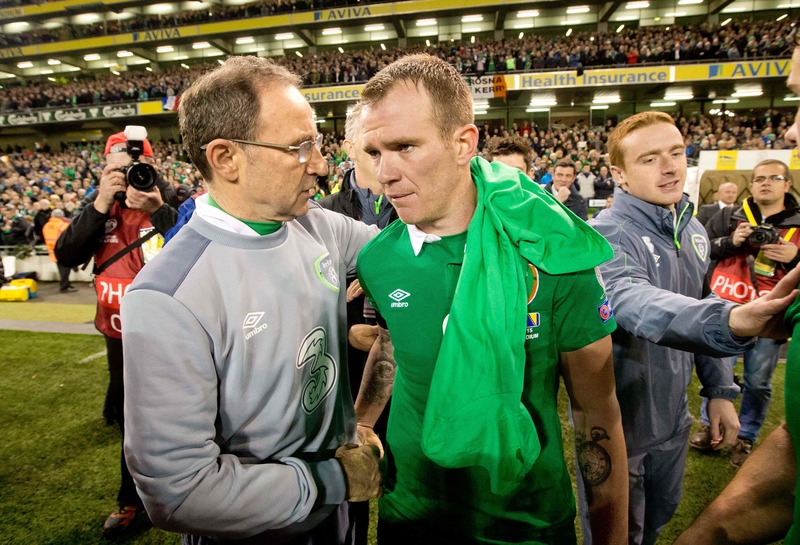 We’ve had the occasional difference of opinion, I’ve obviously been right,” joked O’Neill. “He’s been a very good player throughout his career. He’s getting a little bit older and there’s new blood coming in trying to take his place, but he’s been able to stave off a lot of new players due to his determination. Whelan was his usual unassuming self, trying not to reflect on his international career before it has officially come to an end. “I don’t think there’s one particular time (that stands out). The older you get the more appreciative you get of your team. Not being here for the last twelve months, you miss your time. Being with the lads. “I’ve loved all my time. It’s been a long time since I’ve scored. There are different times and highlights that once I’m finished I’ll be able to look over them. He may not be remembered as one of the all-time great players, but there’s no doubt the service Glenn Whelan gave to the Republic of Ireland should not be forgotten. Eighty-five caps, and an unforgettable goal against Italy in 2009. The armband is the very least he deserves.